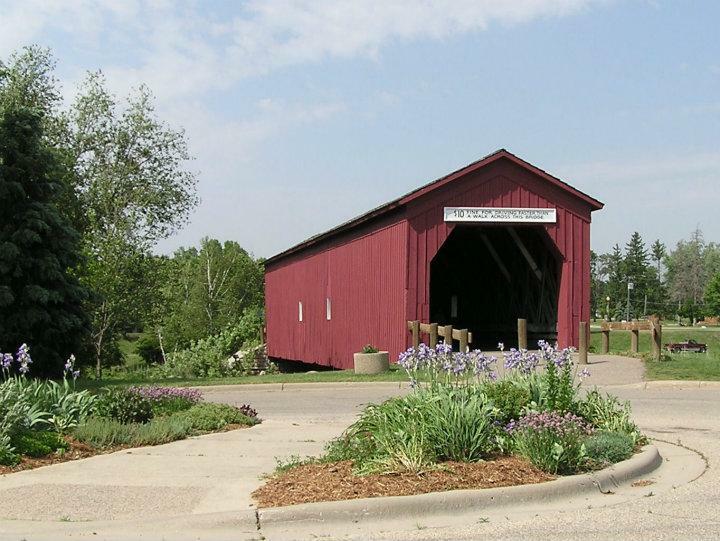 Zumbrota Covered Bridge constructed over Zumbro River in 1869 cost $5,800. Moved from its original site Highway 58 about 1,000 feet from its present location. 120 feet long, Town lattice truss design, served as stagecoach route between St. Paul and Dubuque. Transported by horses to fairgrounds in 1932 moved to its present location in 1970.